Many whiskies take their flavour from just one cask, but we mature Grant's Triple Wood in three different types of wood: Virgin Oak cask provides spicy robustness, American Oak lends subtle vanilla smoothness and Bourbon refill offers brown sugar sweetness, resulting in a smoother, richer, mellower taste. It was in 1887 when William Grant opened his first distillery in Scotland with the help of his seven sons and two daughters. Five generations later, we're still family owned. 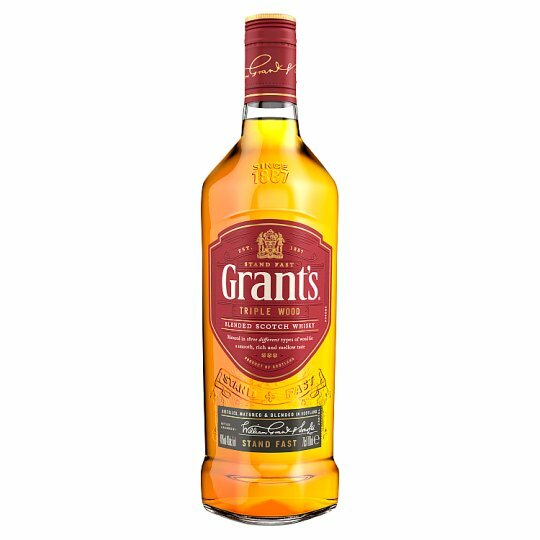 From the highly skilled Coopers who tend our casks to the distillers and maturation experts - Grant's Whisky stays true to William Grant's original, closely guarded recipe.